Every Monday morning, about 1 2 dedicated members of Ballinasloe Active Retirement get together in Gullane’s Hotel for a very good cause. Here the knitting group happily spend a few hours chatting away while busily “clicking” away on their knitting needles. 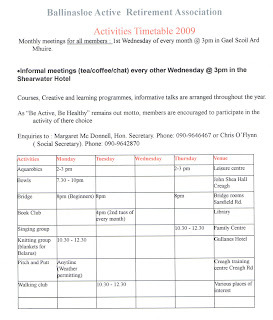 The result of their year’s work was on display in the Gael Scoil on Dec. 3rd ’08. 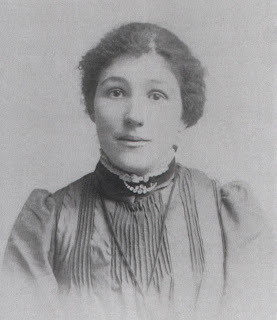 Margaret McDonnell (Sec.) presented, on behalf of the group, the most beautiful collection of colourful blankets and toys to Mr. Pat Dillon for the benefit of the Orphanages in Belarus. Mr Dillon expressed his gratitude to these very talented ladies for all their wonderful work. 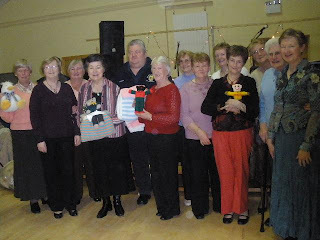 Well done to all these industrious ladies for your very charitable work! If you find any spare balls of wool and a pair of knitting needles around the house, please come along and join them.Chris O’Flynn. Two teenage girls held the home-made placard aloft, as high as they could reach. The message, in black paint, a little bit uneven, told that they had come in support of their Gran’s protest against the Government’s action in withdrawing the automatic right of people over 70 to a full medical card. Joining their Gran outside Leinster House was a coach load from Ballinasloe Active Retirement. Our bus had left the Square at 8.30 that morning. We were all determined to show that entitlements, which we had built up over years of contributing to the national coffers, could not be taken away. When we stopped at the Lucan Spa hotel, the management shared our view. For just two euros each we enjoyed a lovely breakfast. That kept us going and gave us the energy to cheer and applaud. All of Kildare Street in front of Leinster House was full of people. The crowd extended down behind, making an island of the platform in the midst of pensioners from all parts of the country.